John Brignon, Managing Director of Operations, joined Lincoln Road in 2016. Mr. Brignon has over 36 years of senior finance, operations and executive management experience in both publically and privately owned industrial and manufacturing businesses. Mr Brignon served in varying executive roles including CEO and Owner for over 18 years with Certified Power, Inc., a leading provider of fluid power solutions to industrial and manufacturing businesses. Prior to Certified Power, Inc. he served as Vice President of Finance and Operations for Universal Coach Parts, a distributor of bus and coach replacement parts. 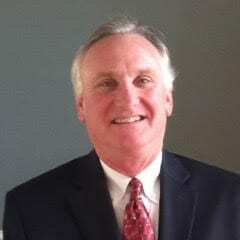 His career began with Tenneco Inc. an industrial conglomerate, serving in numerous corporate and divisional financial roles culminating as the Controller of North American Parts for JI Case, a manufacturer of agricultural and construction equipment. Mr. Brignon became a CPA and graduated from the University of Texas with a BBA and an MBA from the University of Houston Executive Program.